It was Thanksgiving. 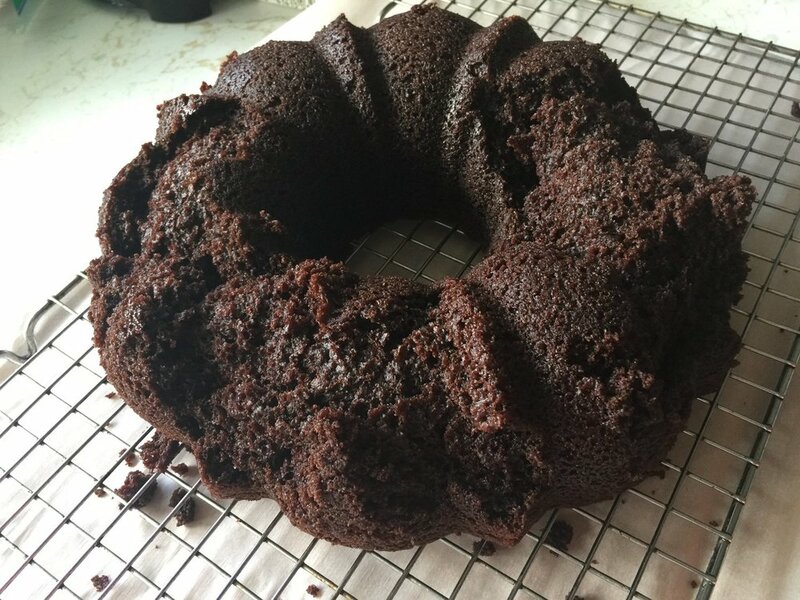 I made a chocolate stout cake in a beautiful bundt pan, but it didn't release properly. 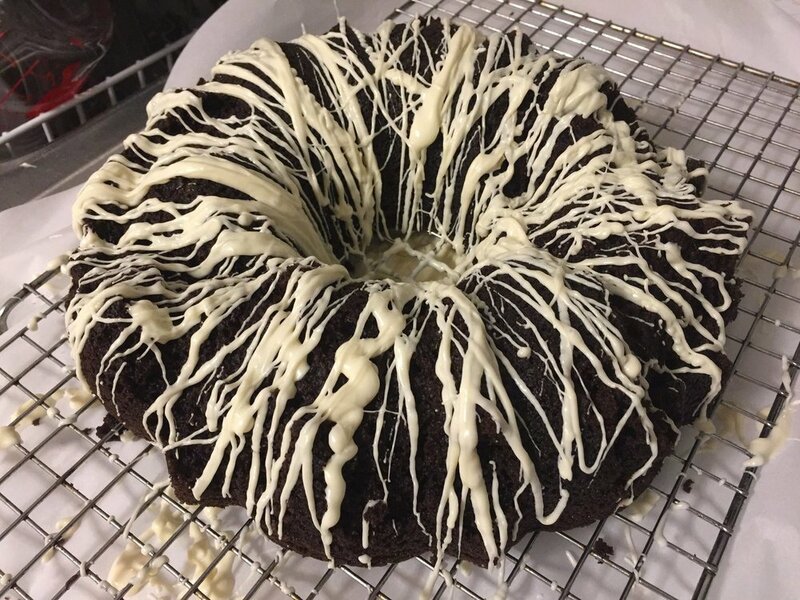 So... what to do when your bundt ends up looking like a misshappen blob? Tell yourself it'll taste good and that's all that matters, and then drizzle melted white chocolate over it. Dip a fork into melted chocolate- you can practice flicking your wrist and making lines into the bowl of white chocolate if you want to practice. Once I started drizzling white chocolate over it I thought, "just a little bit more, that's all it needs"... and it ended up being mostly covered. Oh well- nobody guessed that it looked like a mutant.